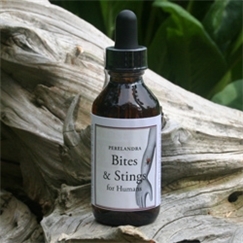 Bites and Stings - Perelandra Ltd.
Take daily one month prior to and during insect season in your area. Take one dose every two months during times of low insect activity. Prepare for any trips to new areas by taking one dose daily starting one month prior to the trip; continue the daily doses throughout the entire trip and for one month after. One 2-oz. bottle contains approximately 150 adult doses. If you have allergic reactions to insects that require allergy medicine, keep that medicine on hand until you are absolutely sure you don't need it.